You don't have to work in Silicon Valley to understand how new technologies will shape the future of the event industry. As event professionals, we see it up close every day by experiencing the effects of new digital solutions that are gradually taking over the logistics. There's no question that technology has helped decrease of time and effort we have to put in when dealing with basic planning tasks. In addition, we can definitely appreciate the incredible attendee engagement boost that new event apps and software are delivering. However, there's always the question: what's next? Apart from transforming the way we plan and promote an event, what are the new possibilities technology can bring to the table? Although in the incipient phase, biometric solutions for events is promising great changes, related not only to the way we'll set up the guest check-in process, but also the way we'll track our attendees. According to the Biometrics Institute, "Biometrics covers a variety of technologies in which unique identifiable attributes of people are used for identification and authentication. These include (but are not limited to) a person's fingerprint, iris print, hand, face, voice, gait or signature, which can be used to validate the identity of individuals seeking to control access to computers, airlines, databases and other areas which may need to be restricted." There are different types of biometrics, from visual biometric (based on identifying a person by the shape of the ear) to spatial biometrics (which involves the way an individual walks or behaves). Initially developed and used for security reasons, entrepreneurs and developers started to understand the real potential of these metrics related to human measurements, finding new ways to explore and utilize it. One of the areas biometrics could affect is the way we plan and run events. According to a TechCrunch article, the biological and emotional data smart devices gather "fosters new insights and the development of new ecosystems allowing understanding of customers at a much more granular level and the ability to offer them new services." By analyzing the information, referring to the way people interact with different gadgets and products, companies will learn more about the users. This will allow marketers to tailor targeted biometric ads aligned with people’s needs and emotional states. If this works, we should be prepared to use biometric marketing when promoting our events. Using the attendee biometric data gathered during the last event, we'll have the knowledge to design a laser-like marketing campaign. As CISCO notes, "Facial recognition could soon become the norm and help airline passengers quickly pass through to their boarding gates." According to Bloomberg, "British Airways is rolling out technology that will allow passengers to go through boarding gates at its main London Heathrow Airport hub using facial recognition." Event planners can definitely use this technology to check attendees in at an event, avoiding lines or system errors. In the future, we'll probably say goodbye to boring badges and instead develop an interesting biometric identifier that will have a much bigger role (such as gathering data) than just displaying an attendee's name. What if you could find the way to your attendees' hearts? 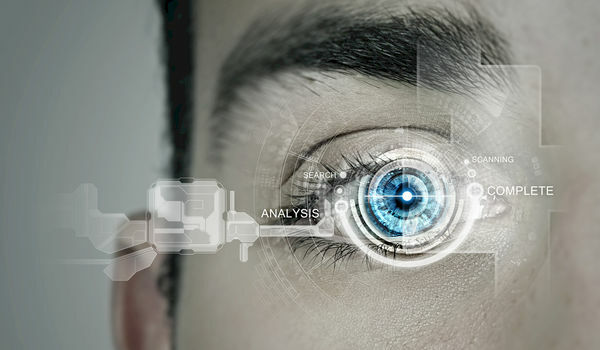 Biometric wearables of future can make that possible. Imagine all the insights you could get by knowing the pulse rate or the frequency of brain activity of your guests during your event. Is there any better way to tailor an event to your attendees' needs than by truly understanding their emotional profile? Sounds like something out of a science fiction novel, yet studies show that biometric data allows you to gain access to how people actually feel. Data generated by eye tracking, brain activity, skin conductivity, facial analysis, or even electromyography help professionals gain a better understanding about people’s psychological and emotional profiles. This may affect the way we see our attendees, but also it can help us track the way our audiences perceives the event experience in real time. Although it might sound overwhelming and a bit frightening, biometric technologies have the potential to radically change the event industry. However, it's completely up to us to decide how we’ll use these future solutions. After all, the ultimate goal of technology is to empower us to plan and run high-quality, personalized, and meaningful events.